Hello friends! I hope everyone is enjoying a great start to the new year! 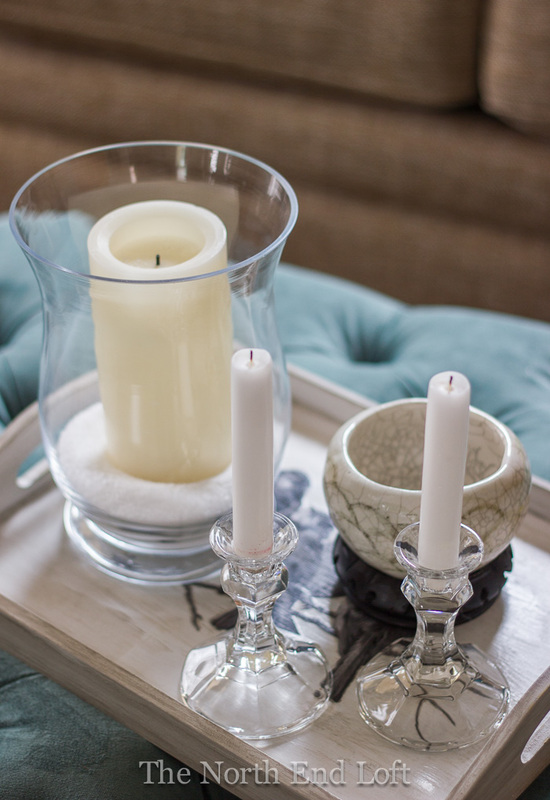 Today, I'm sharing my post-holiday winter decor with pops of turquoise and white, inspired by our new ottoman from World Market. 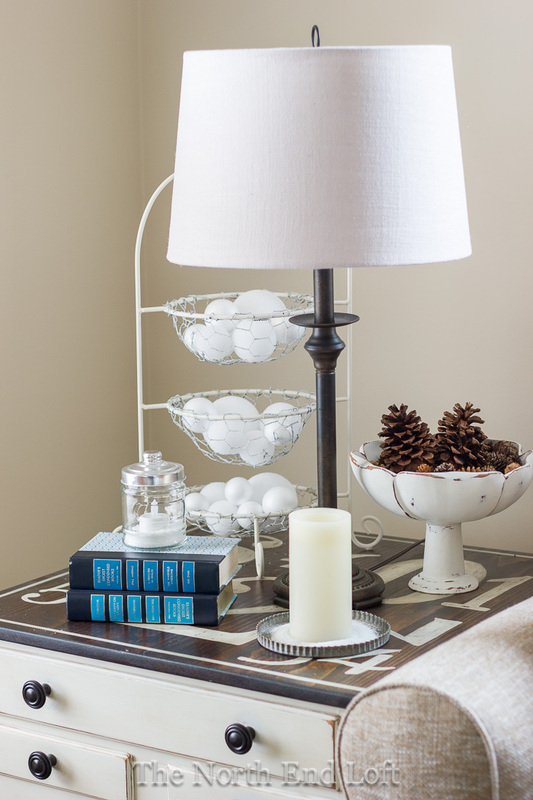 For my wintry look I wandered around the house one day after I packed up our holiday decorations and gathered up anything I could find that was white or turquoise and had a wintry "feel." Then I just sprinkled it all around the living room. 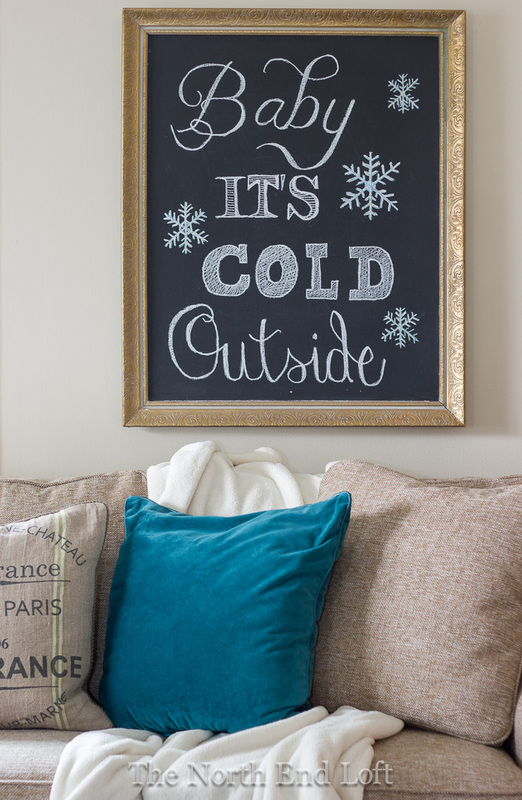 My winter chalkboard was inspired by Barb's free printable over at The Everyday Home. I still think chalkboards are lots of fun, and I'm getting pretty good at drawing mine free-hand with all the practice I've had. A big bag of Epsom's salts from the grocery store makes economical "snow" to put in glass jars with candles and for sprinkling on trays. The little white crackled bowl resting on a carved wooden stand was a gift years ago from my old friend and neighbor, Susan, a talented ceramics artist. An extra furry pillow and cozy throw is tucked into the olive bucket. The block print folk art bear is by my daughter, Annie, who has a degree in illustration. The "snowballs" are dollar store foam balls from my craft room. 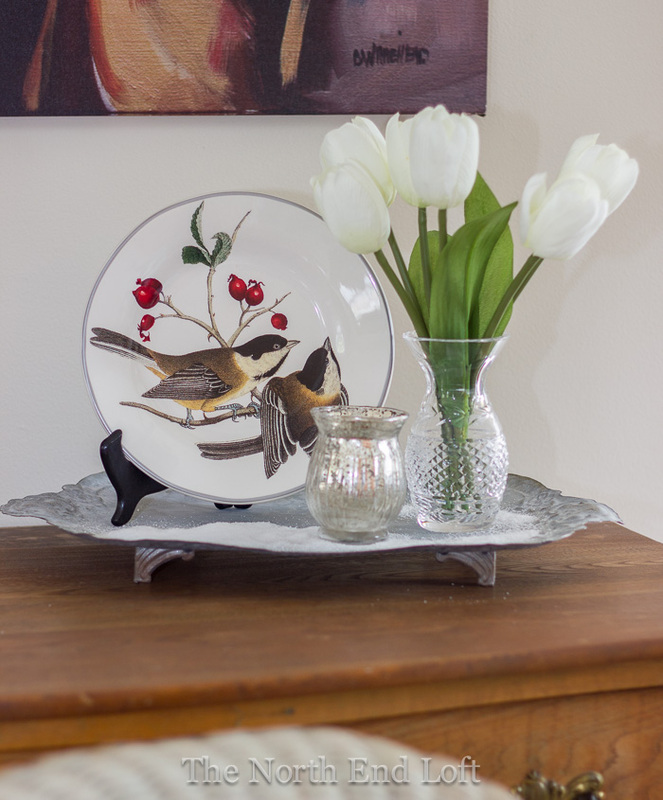 My husband gifted me eight of Pottery Barn's beautiful bird plates this year for Christmas, and they were so pretty on our Christmas dinner table. I couldn't bear to put them away in a cupboard the next day, so I chose my favorite to display here for the rest of winter. This is the first time I've decorated with so much turquoise. It's a strong color that doesn't take a lot to pop against a neutral backdrop. I'm loving this bright fun look for chasing away the dark cold days of winter. 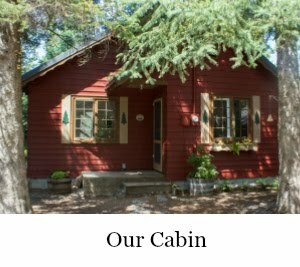 Thanks so much for stopping in today to see what I've been up to around the cottage. I hope you stay warm and have a great day! It's never too cold to party, so put on your mittens and let's get going! I use turquoise in my seasonal decorations throughout the year ~ it looks so great with neutrals, and reminds me of my beloved coast! 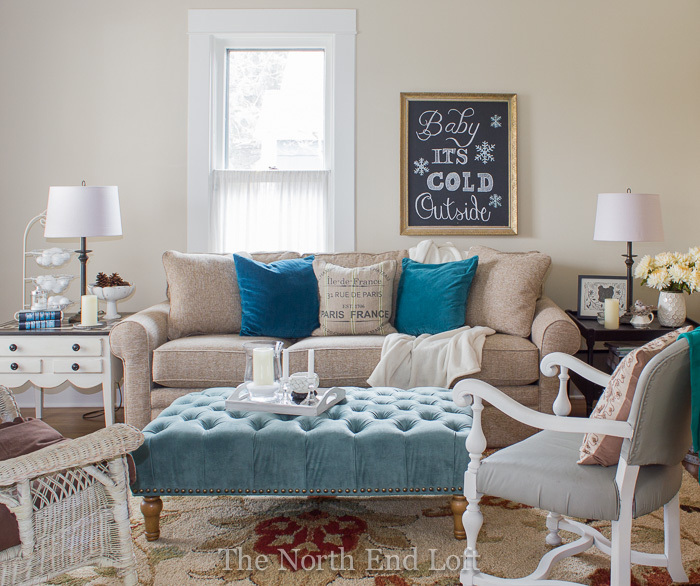 Love that ottoman and your pretty winter decor filled with blues which I'm leaning towards more and more. I love it! You put just enough blue to give the room pops of whimsy. You know how much I love your house. I think you should have been a designer. Those colors are so pretty! They're icy yet cozy and perfect for winter! Love your new ottoman! Aqua or turquoise have become some of my favorite colrs... and your winter home looks fun and cozy! Love it all! Still decluttering here. We haven't had much cold, been unseasonably warm so it's been a strange winter. My house is feeling rather dismal though so maybe I should stop and freshen thing up. 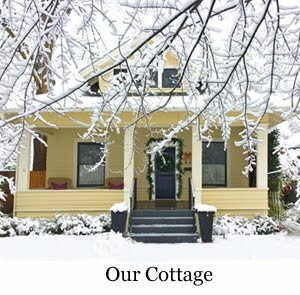 Yours looks so cozy! Hope your week is going well! I adore the PoP of turquoise, dear friend!!! Those bird plates are a perfect accent!!! Love all the white pots filled with white flora!!! The little bird in the Spanish Moss won my heart!!! 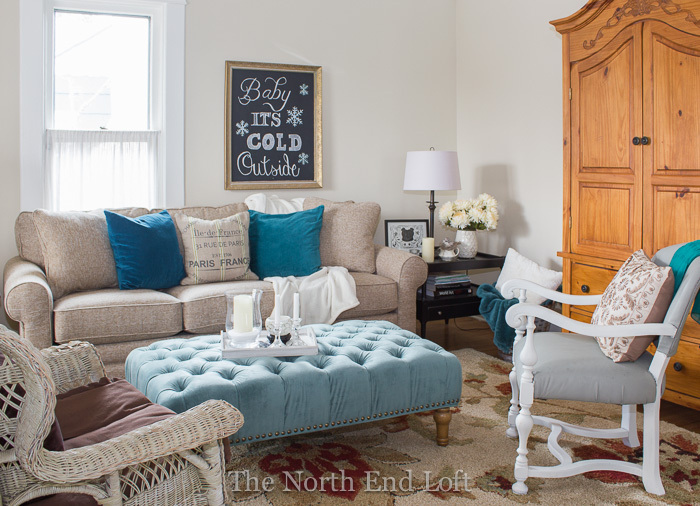 I love how you completely changed the feel of your living room by adding pops of turquoise...and the ottoman is gorgeous! 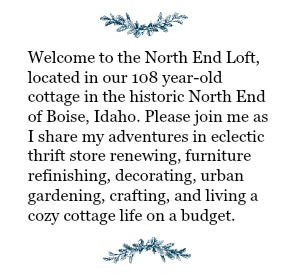 I admired it the last time I visited World Market, along with a few chairs and sofas. 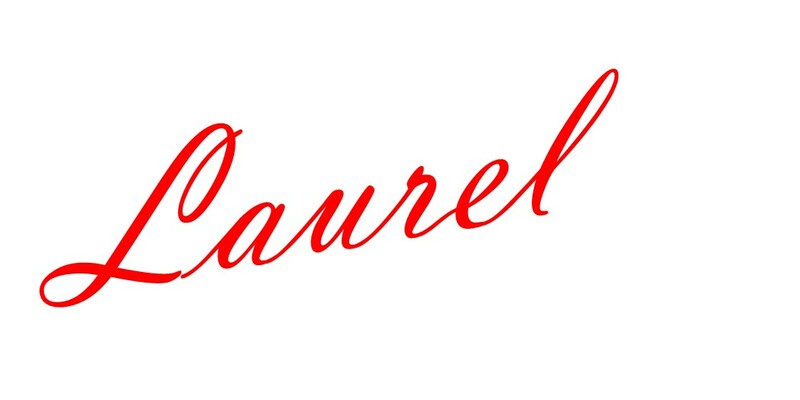 Your room looks like the perfect spot to relax with a cup of tea, Laurel. And your daughter's folk art print is adorable! Thanks for sharing and keep warm! You made great changes. The living room looks different and turquoise is a great color. I have never been to a World Market store before. It sounds like a great place to go shopping. Fun chalkboard and you are talented with the lettering. I surely could not do that. It's beautiful! LOVE this room. 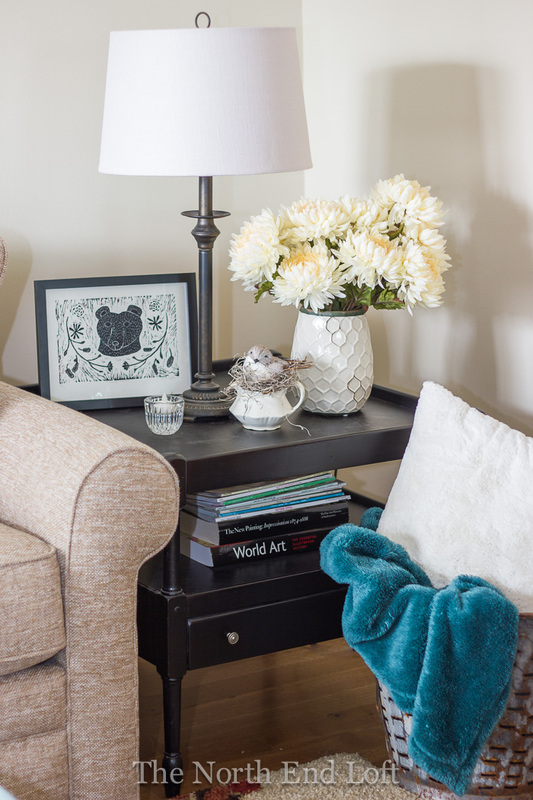 I'm a huge fan of every turquoise hue and just adore this cozy and happy space you created. Oooooh! I love the blues going around your abode Laurel especially that luscious tufted ottoman! Beautiful! Love the color, the ottoman is gorgeous! 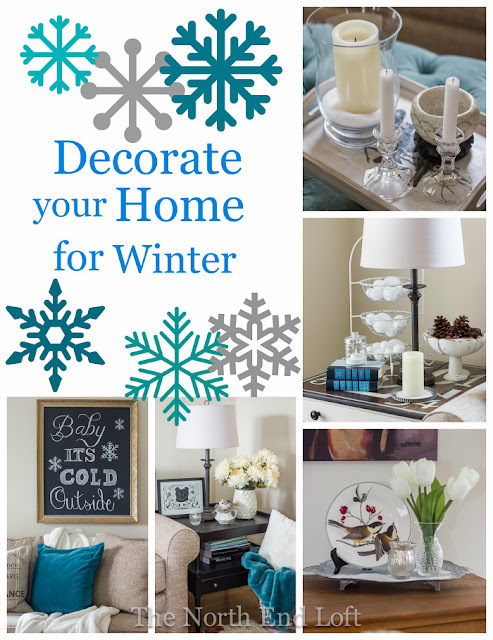 Well, I am loving all the turquoise and your fun touches of snow. I would never have thought to use Epsom salts. Laurel, the turquoise looks beautiful! Perfect for chasing away the winter blues... er... greys ;) Love those plates too. Laurel, Love your new ottoman! World Market is one of my favorite stops when shopping. I love all the pops of blue! It certainly brightens the Winter months! Your daughter, Annie, is a wonderful artist. Love the block print Bear!! That ottoman is perfect! Love the color and the way everything looks so cheerful! Love the touches of turquoise! I was in World Market just the other day looking at that same ottoman!